KIA decides to prioritize students over celebrities by announcing a new scholarship at this year's Super Bowl. 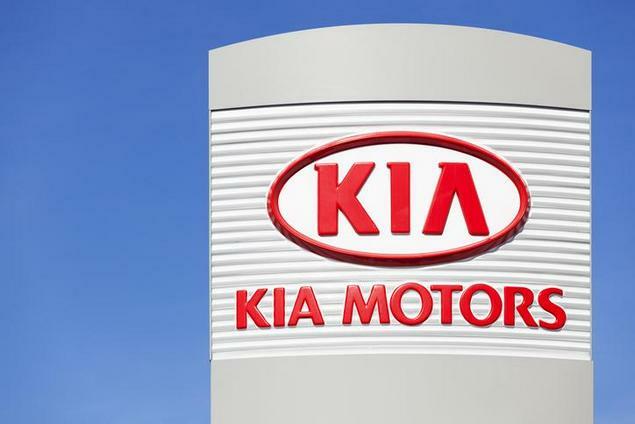 Instead of paying for a big-time celebrity to feature in their 2019 Super Bowl advertisement, KIA decided to use their time slot – and funding – for students. According to Ad Week, this is a major strategic shift in advertising for the company. In previous years, KIA has been known for using celebrities in all its Super Bowl ads, including Aerosmith’s Steven Tyler, Melissa McCarthy, Christopher Walken and Pierce Brosnan, just to name a few. According to the The Great Unknowns Scholarship website, they detail the reasons for the new ad strategy: Every Year, millions of dollars are spent on celebrity endorsements in big game ads. This year, we’re doing something different. Instead of handing checks to celebrities, we’re launching The Great Unknowns Scholarship to help young people in need get a foothold in higher education. The car company opened the application cycle of the The Great Unknowns Scholarship post-Superbowl, beginning on February 3, 2019. Their ultimate goal with the scholarship initiative is "to discover and reward students who embody the spirit of “Give It Everything,” and help them pursue their academic dreams." The site also details that "this program is administered by Scholarship America®, the nation's largest designer and manager of scholarship, tuition assistance, and other education support programs for corporations, foundations, associations, and individuals. Awards are granted without regard to race, color, creed, religion, sexual orientation, gender, disability, or national origin." The Great Unknowns Scholarship website details that applicants to The Great Unknowns Scholarship must meet all of the following criteria: •	Be a high school senior or graduate, or a current post-secondary undergraduate. •	Be age 24 and under, as of the March 13, 2019, application deadline. •	Reside in the United States as a legal citizen. •	Plan to enroll in full-time undergraduate study at an accredited two- or four-year college, university, or vocational-technical school in the United States for the entire upcoming 2019-20 academic year. Applicants will be evaluated on the following criteria: •	Academic performance. •	Demonstrated leadership and participation in school and community activities. •	Financial need. Financial need, as calculated by Scholarship America, must be demonstrated for the student to be considered for an award. •	Applicant Essay - "How I Give it Everything." We want to know how you embody the spirit of Give it Everything in your life. •	A letter of recommendation from a person of standing within the community; for example, a pastor, employer, mayor, police officer, teacher, or other. The letter should address how the applicant embodies the spirit of Give it Everything as they pursue their goals. Award Amount: 16 Awards of $5,000 The Great Unknowns Scholarship is open to high school seniors or graduates, and current undergraduate students. You must be a U.S. citizen, age 24 and under as of March 13, 2019, and plan to enroll full-time in a course of undergraduate study for the upcoming 2019-2020 academic year in order to be considered for this award. Selection is based on academic performance, demonstrated leadership and participation in school and community activities, financial need and your essay response to the the statement "How I Give it Everything". Get more information on the The Great Unknowns Scholarship.